About the Artist Yves Lanthier.
" About the artist "
Born in St. Jérôme, Québec, Canada, Yves first discovered his talent at the age of six, while sketching a portrait of his teacher in the Rembrandt style. His passion for art led him to explore Europe and Asia for sixteen years, where much of his style was influenced by the " Old Masters." Residing in Florida since 1989, Yves established " Yves Fine Paintings & Trompe L’Oeil " in 1990. His unique techniques and original designs of unsurpassed quality and excellence, created a large number of followers with a big demand for his work. At the turn of the century, the growing demand for his work has allowed him to create large oil paintings, elaborate staircase settings, along with "Trompe L’Oeil" embracing the ceilings and walls of the living areas in numerous East Coast mansions. His commissions include, Fisher Island, Star Island, Indian Creek, Manalapan, Palm Beach estates and Celine Dion’s estate in Jupiter, Florida. Yves versatility in style comes from a mix of the Old World with surrealist, fantastical, mystical and utterly serene. Yves Lanthier has been profiled in numerous publications including Florida Design, Art Business News, Palm Beach Illustrated, Boca Raton News and named one of the World’s Best Trompe L’Oeil Artists. He is an expert in Trompe L’Oeil Domes, Ceiling and Murals, his artwork and design have won multiple awards and he is recognized by the art industry as one of the leading original Artists. In December 2004, "The art of Trompe L'Oeil murals" a book about his life and most prominent work was published by F&W Publication. Now available at any major book store or autographed personally by the artist from this website! 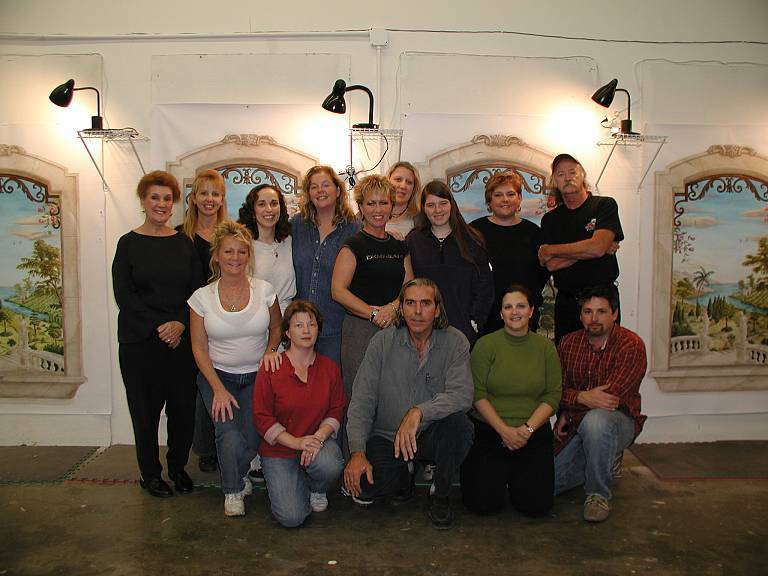 2005-2006 Yves started teaching his workshop "The Art of trompe L'Oeil murals" in several school, (See more info). From 2007 he produced several DVD's workshops, teaching some of his elaborated original designs. He now exhibit his oil's painting in multiple country around the world. (See more info) and continue creating Trompe L'Oeil projects for special clients around the world. Hiking through the mountains, carrying a little flute that he would play sometimes, he would come upon remote villages, some rarely if ever visited by outsiders. At 6'4", towering over the people living there but speaking their language, he would be greeted and revered as a holy man or even as a god. The villagers would welcome him into their homes and he became their link to news of the outside world. Eventually, he discovered a place called "Manali", or "Valley of God". It was beautiful with fruit trees that the British had planted nearly a century before. "Here the earth was so rich, the water so pure and the local fruits and vegetables so unbelievable, I felt as if I had never tasted real food before." Yves rented a large house and, to earn a little money, took in European and American tourists as paying guests, leading them on expeditions into the mountains. He also sketched and continued to study art. In those days, traditional painting supplies were hard to come by, so he worked with what he had, thinning the oil paints with motor oil instead of the usual linseed. "I only have a few of those paintings in my possession now, but those have darkened considerably over the years," he says with a laugh. 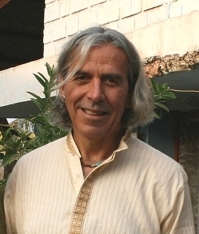 In 1985, Lanthier left India, determined to pursue his dream of becoming an artist. He followed one of the ancient trade routes from the Middle East to Europe, traveling through Afghanistan, Iran and Turkey, then Greece, where he stayed for a few months, painting the vibrant Mediterranean village scenes. After a brief sojourn in Europe, he made his way back to Canada. At the time, his mother, a professional caterer and business woman, was opening a disco. "This is where I painted my first mural," Yves describes. It was a woman's face, with her hair running along the back walls- "a bit visionary and modern, but a mural nonetheless!" Lanthier paints as the mood strikes him, with periods of intense creative activity which he describes as "just going with the flow...like falling in love." Currently, his work is sold online through his website, www.yvesart.com. Art lovers can commission custom trompe l'oeil murals, purchase original paintings, or choose any of Yves' designs and have them printed to size on canvas (the Giclée process of color transfer and reproduction makes owning a "painting" affordable for all). The canvas can be hung as art, or combined with architectural elements in the home, mimicking the look of an authentic, hand painted mural. 2015 DVD / Workshop release " "
2013 - Artjuna- Goa India. 2011- August: Tremblant solo exibition "Exotic India and its Mystical Temples"
2008 DVD Workshop release " "
2007 DVD Workshop release " "
2004 Book release "The Art Of Trompe L'Oeil murals"
2001 O&Y Gallery, Florida, U.S.A.
2001 Biltmore, Presidential Gala, Coral Gables, Florida, U.S.A.
1998, 1999, 2000, Award Winner Corel World Design Contest. 1999 Noted Speaker and Seminar Leader for digital artwork.